San Antonio carpet cleaners have a reputation that ranges from being great but they cost too much to the price was great but the service was terrible. There are very few San Antonio carpet cleaners that are in the middle of this that can provide great service for a great price. 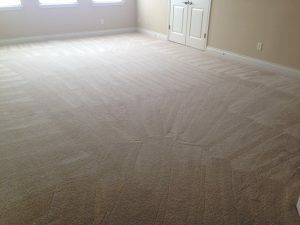 Well Beyer Carpet Cleaning San Antonio is one of those carpet cleaning companies. 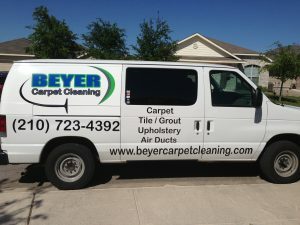 Beyer Carpet Cleaning is committed to serving the city of San Antonio and the surrounding areas with the best of the best carpet cleaning. San Antonio carpet cleaners can be all over the map with their prices but Beyer Carpet Cleaning has flat rates. They don’t measure the rooms and have limits on the size of the room. No matter how big the room is you’ll be charged one price. Beyer Carpet Cleaning has highly trained professional technicians that will get the job done and done right! Many San Antonio carpet cleaners have a friend or relative work for them and don’t bother teaching them all they need to know to get the job done. You the customer suffers for this because your carpets do not get as clean as they should. Beyer Carpet Cleaning has a satisfaction guarantee on all of their best service packages. If you are unhappy with your carpet cleaning Beyer will take care of the problem with no charge if it was us who dropped the ball. There aren’t too many carpet cleaners in San Antonio who are willing to do that. They may give you the run around or try to say it’s not their problem but with Beyer we want to make sure each customer is taken care of and will return to us for their next carpet cleaning job. Beyer Carpet Cleaning cares about their reputation so they care about their customers. Your average San Antonio carpet cleaners can not compare or beat the type of service and price you will receive with Beyer Carpet Cleaning. Give them a call today to schedule your appointment. If it’s carpet cleaning, tile and grout cleaning, or upholstery cleaning Beyer Carpet Cleaning will take care of all your cleaning needs.